HELP DRCNET GROW! Visit http://stopthedrugwar.org/tellfriends.shtml to spread the word to your family and friends. 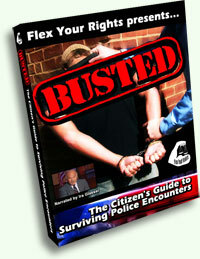 The civil liberties organization Flex Your Rights Foundation (http://www.flexyourrights.org) is gearing up a full-blown campaign to get its video "BUSTED: A Citizen's Guide to Surviving Police Encounters" screened across the country. With dozens of showings nationwide either completed or pending, and the national big screen premiere packing the theater in Washington, DC, earlier this month, the campaign is just getting under way but is rapidly gathering momentum, said Flex Your Rights executive director Steven Silverman. "We've got about 20 more screenings set up with a firm date and location," Silverman told DRCNet, "and we are receiving emails and phone calls every day from people wanting to show it -- usually but not always campus groups. Right now, we're in a phase where we've been contacted by people and we've sent them the DVD to check out and they're going to be meeting with their local chapters and discussing hosting an event. New screening dates are trickling in faster and faster," he reported. "BUSTED" is a 45-minute lesson on what and what not to do during a police encounter that has drawn rave reviews wherever it's been shown. The brainchild of Silverman, who began by donning a policeman's uniform and transforming himself into "Officer Friendly" for college audiences, the video takes his one-man show and commits its lessons to video. In a series of scenes�in a car, on the street, at a house party�depicted twice, "BUSTED" allows the audience to watch as the actors (some professional, some DC drug reformers) first do it wrong, waiving their right to be free from unwarranted searches, then do it right, exercising those rights to avoid arrest. Narrated by former ACLU executive director Ira Glasser, "BUSTED" is both educational and entertaining, a weird hybrid of "Cops" and a high school civics lesson. It is also a prime organizing tool for drug reform, civil liberties, and minority rights groups, said Silverman. "A 'BUSTED' showing can be the centerpiece of the event for reform groups, and we are trying very hard to make it easy for them to do it," he said. "We can provide sample press releases, we've got posters and flyers that you can reproduce, we have a screener's discount form on our web site. We ask people what organization they're with, what they're going to do with the video, who they're going to show it to." But Flex Your Rights is flexible, Silverman said. "If you e-mail us and say 'I work in a methadone clinic and have 50 patients that need this info' or you're a campus SSDP or NORML chapter, or a South Dakota school teacher (showings are going on under the radar at at least one alternative high school there), a bar owner, a lawyer, whatever -- if you convince us you'll show your complimentary copy to lots and lots of people, we will send it. Then we follow up, get the information from them on the time and place of the screening, and we post it on our calendar of events. We provide posters and flyers. It's ready to go, an event in the can," Silverman enthused. Groups around the country are taking advantage of the opportunity to both educate the public and promote reform efforts. Events that have already taken place or will take place this month include screenings in Sarasota, Florida (Florida Cannabis Action Network), Iowa City, Iowa (Iowa University SSDP), Chatham, Ohio (North Ohio NORML), Minneapolis (University of Minnesota NORML), Tempe, Arizona (Arizona State University SSDP), Kingston, Rhode Island (University of Rhode Island SSDP), and Billings, Montana (Montana State University-Billings NORML). "We just organized an SSDP chapter here at Arizona State University, and we're showing 'Busted' as our kick-off event," said Lauren Hathorn of the ASU SSDP chapter. "We're trying to use it as a way of drawing attention to the group, and, hey, it's also a great video!" The chapter has gone all-out to get out the word, and is hoping for a turnout in the hundreds. "We have a room that holds 250 and we're expecting to pack the place," she told DRCNet. "We've printed 500 flyers and 500 posters, we've gone to local head shops and coffee shops, we've sent out press releases to the university paper and the College Times, which goes to all the colleges in the Phoenix metro area, and to the Phoenix alternative weekly, New Times, and we've e-mailed about 150 student organizations, we've contacted ASU's public programs office, the student life office, and the student activities office. We've even contacted the ASU campus police to let them know we don't mean any negative energy toward them," Hathorn said. "We're really excited and working hard." That's how to make it work, said Melissa Sverchek of Montana State University NORML in Bozeman. In the premier showing of "BUSTED" last October, MSU NORML packed in over 300 people to learn how to protect their constitutional rights. "We got a student senate committee to fund it, and in return we agreed to produce and pass out some big, fancy fliers. That meant we were able to have a free event, so we could put our money and energy into getting the word out," she told DRCNet. "We did a press release that got picked up by the Bozeman Chronicle and our school paper. We had Steve Silverman from Flex Your Rights come out and we had a local defense attorney there to answer questions afterwards," she said. There is demand for more showings, said Sverchek. "There were a lot of college kids, of course, and many of them came up to our booth afterwards and told us it was great, that they needed to know this stuff, that they wished they'd known it before. This is Montana, and people are very concerned about their rights," Sverchek observed. "We're planning on showing it again." In fact, they already have. MSU NORML, along with numerous SSDP chapters doing an SSDP "day of action" this week, made showing "Busted" part of the event. "We showed it all day yesterday," she said. Another Montana showing will be going on a couple of hundred miles east on I-90 in Billings, where Adam Jones and MSU-Billings NORML are challenging the DEA to repeat its performance of last year, when a DEA agent used the newly-passed RAVE Act as a club to intimidate the venue that had scheduled a NORML fund-raiser (http://stopthedrugwar.org/chronicle/290/dearave.shtml). This year, as part of a week-long series of events (http://www.montananorml.org/events/billings/), NORML is going back to Billings, and a showing of "BUSTED" leads off the whole affair, predictably enough on April 20. "It's going to be a huge screening in Billings," Sverchek predicted. At the national big screen premier April 8 in Washington, more than 200 people packed the Vision Theater in Dupont Circle to view "BUSTED." "We had originally rented a 150-seat theater, but before show time we had already sold more than 150 tickets, so the theater moved us to a bigger screening room," said Silverman. "We had Dan Dodson, the former communications director for the National Association of Criminal Defense Lawyers, there to answer questions afterwards. It was a huge success." Not all the showings are big screen affairs, nor are they all drawing hundreds of people. "We've had showings in people's living rooms and we've had showings with hundreds of people, like at Appalachian State University earlier this year, but most of them average 30 or 40 people," he explained. "But those people come back and say they want to do it again and they can bring in a hundred people or two hundred people next time." And that's just what Silverman wants. "I suspect that this will become institutionalized by this fall. We'll be able to show people how easy this is do to, and word of mouth about how many people 'BUSTED' attracts is starting to get around. 'BUSTED' really generates activism, it generates memberships in activist groups, it stirs up lots of discussion about the drug war and police power, and that's just what we want." You, too, can host a screening. With nearly 1.5 million drug arrests in this country each year, and with the serious consequences that follow from them, teaching people how to exercise their rights to protect themselves is a true humanitarian task. Find out how you can host or view a screening by going to http://www.flexyourrights.org and clicking on the screenings link. A terrible injustice has taken place in the state of Florida, and we at DRCNet are asking you to take action today to help to fix it. You may have read in this newsletter last week about Richard Paey, a patient from New Port Richey who is facing a 25-year mandatory minimum sentence for doing what he needed to do to get needed opioid medicine to relieve his severe, chronic pain. It took district attorney Bernie McCabe seven years to get his blood, and there is reason to believe he may have facilitated perjury to finally succeed after bringing Paey to trial a third time (http://stopthedrugwar.org/chronicle/332/paey.shtml). Paey now faces sentencing, and we request that you contact McCabe's office in protest (information below), and to send a letter of protest to Gov. Jeb Bush. We have created an online web form to help you do so -- http://stopthedrugwar.org/floridainpain/ -- if you are from Florida then it will also send your letter to your elected members of the state legislature. In addition to asking that Paey be freed immediately, the letter asks the legislature to vote no on Gov. Bush's proposed Prescription Drug Monitoring Bill -- which would make it easier for McCabe and his fellow DAs to go after innocent patients and doctors -- and to repeal Florida's mandatory sentencing laws that may bring Richard Paey 25 years -- a sentence that would be absurd even if he were a truly guilty man. The Pain Relief Network has an extensive section devoted to Paey at http://www.painreliefnetwork.org/default.asp?id=45&mnu=45 online. Visit http://www.PainReliefNetwork.org to find out more about their important work. Lastly, if you're in the Washington, DC area, visit http://www.paincoalition.us for info on the pain patients' March on Washington, this Sunday through Tuesday, April 18-20. As a wave of investigations and prosecutions of doctors prescribing opioid pain relievers to chronic pain patients spreads across the land and professional medical organizations for the most part muster only a lackluster response, patients and doctors have begun to organize themselves to defend their right to adequate treatment of pain. One of those efforts flourished in Mississippi and Arkansas beginning with the formation of a chronic pain patients' movement in Fort Smith, Arkansas, in 2001, and now pain patients' and doctors' groups based there are heading for Washington, DC. They are seeking acknowledgement of their pain, to rein in the DEA, and congressional hearings to address the entire topic of pain treatment and the war on drugs. The National Pain Patients' Coalition (http://www.paincoalition.us), the American Pain Institute (http://www.americanpaininstitute.org) and the National Juneteenth Medical Commission (http://www.19thofjune.com), grassroots pain advocacy organizations all, are convoking a March on Washington and days of lobbying Congress, with actions in the nation's capital beginning Sunday and continuing through Wednesday. While the pain groups' names signal a national ambition, they are an outgrowth of that early organizing in Arkansas and Mississippi, and at this point remain essentially Southern groups. Still, said Jean Bancroft, public relations director for the march, the group expects to see patients from across the country in Washington and hopes to draw at least 2,000 people. "The DEA war on drugs has turned into war on pain patients and the physicians who treat them," said Virginia Brooks, a chronic pain patient and leader of the National Pain Patients Coalition (NPPC). "Unable to find a doctor willing to treat them, many pain patients are choosing suicide over living with chronic pain." That is a personal choice and not a solution she would choose for herself, Brooks made clear. "Look," she said, "if someone takes a bottle of pain pills and kills himself, that's his responsibility. Why would you go after a doctor because his patient reached a point where he can't take anymore? But suicide isn't an option for me," the staunchly Baptist Brooks told DRCNet. "I'm in great pain, but that's not as bad as the pain of hellfire." But for others who perhaps do not share Brooks' strong faith, chronic pain means choosing between the mercy of an early death, the agony of not being adequately treated for pain, or the danger of being labeled a "doctor-shopper" or "pill head" or, worse, being arrested, convicted, and imprisoned for taking whatever steps necessary to ease the pain. The American Medical Association puts the number of Americans in chronic pain as high as 70 million. The Rev. Ronald Myers, Sr., MD, founder of the American Pain Institute, put the number a little lower, but the message is the same. "Over 50 million people are living in untreated, disabling pain," said Myers. "The DEA has unjustly prosecuted many physicians who treat chronic pain, shutting down their medical practices and in some cases, trying to give them long prison terms. The irresponsible actions of the DEA witch hunt of many good physicians who treat chronic pain has led to a health care catastrophe in America," Myers continued. "Far too many people have chosen suicide over living with untreated chronic pain. The DEA's hysteria over Oxycontin, and now hydrocodone, which the DEA is trying to make a schedule II narcotic drug, we hope will be quickly investigated by Congress to turn the tide on the epidemic of pain patient suicides. The increased suicides among chronic pain patients demonstrates the morally reprehensible actions of the DEA." "I was resting when you called," National Pain Patients Coalition head Brooks told DRCNet Thursday. "I was lying down because I don't have enough strong medicine to take because these people think that people in pain just don't exist. People look at me up and down and say, "oh, she's not hurting so bad," but they don't know. I'm hurting real bad," she said. "I have spinal bifida and degenerating discs in my spine, for starters," she explained. "There's nothing wrong with my brain, but the pain is what gets me." "At the beginning, I thought I was alone," said Brooks, "but I had to do something. I became the first patient to step out. I got up on the steps of the capitol in Jackson and spoke out, and the Associated Press ran a story with my photo, and it has just taken off from there," she explained. "I became the founding member of the National Pain Patients' Coalition, and now I get so much e-mail and so many phone calls about it I can barely keep up. They come from all over the country." Brooks will go to Washington despite the pain, as will Bancroft, and countless other patients who are willing to face the agony of travel in an effort to improve their lives and the lives of millions of others deprived of adequate treatment because of drug war policies. "I can't believe I'm going to do this, but yes, I am going," said Bancroft, who told DRCNet a similar trip had left her hospitalized for two weeks. "I will pay for this dearly. It is not a sacrifice. In some ways, being sick is a blessing because you know how precious being healthy is. I have to go," she explained. The effort aimed at Washington had its genesis in the DEA persecution of Fort Smith, Arkansas, pain specialist Dr. Terry Brackman in 2001. "I came to Fort Smith in 2001 because there was a clinic there where the doctor had lost his DEA license. He was practicing pain medicine and wanted to know if I could help out," Myers said. "Dr. Brackman's patients had no where to go, some of them committed suicide. It's a 12-hour trip to Fort Smith, so I prayed about it," said Myers, a Baptist medical missionary who wears the title "Reverend" before his name as proudly as he wears the title "MD" behind it. "When I got there and saw what was going on, I said to myself that we had to get organized into a political force to fight this. When I organize people, I put them in charge. I come out of a civil rights background, and what I noticed was that no one was speaking for the patients. There were doctors, pharmacists, organizations with big grants, but they were not empowering the people who had the problem. I made sure these people would be empowered," he said. "As a physician, my role is to be supportive of the patients, and other doctors involved are doing the same." As Myers and Fort Smith doctors and patients rallied around Dr. Brackman, down in Mississippi, Virginia Brooks was suffering. In what she described as something akin to an act of divine intervention, she sought Myers out. "Almighty God, I was standing around with a bag full of medicine that wasn't working. I was angry inside and didn't know it. Out of the blue, something told me to call Dr. Myers. I asked myself why I was going to yet another doctor who couldn't help, so I called to cancel the appointment, but when I opened my mouth, all I could say was that I needed to reschedule. I came in, and Dr. Myers could see I was so angry inside and he prayed for me and we've kept in close contact ever since," she said. "The more I find out, the angrier I get, and the angrier I get, the more I pray," Brooks explained. "I don't pray harm on the doctors and DEA men and lawmakers, but I do pray they could be in my shoes for just 30 seconds. I think they would come around quick then." Meanwhile in Arkansas, thanks to Rev. Myers, Dr. Brackman, Dr. Robert Kale (see interview this issue), and their patients and sympathizers, a grassroots pain movement was taking shape. Inspired by the investigations of Brackman and Kale, Myers led protest rallies at the Arkansas State Medical Board where, among other things, protestors called for the resignation of board chairman Dr. Ray Jouett for his callousness toward pain patients and physicians. Those actions led to the formation of the Arkansas Coalition for Patients Rights and Chronic Pain Management, which successfully pushed through the 2003 Arkansas Chronic Pain Treatment Act, a measure that specifies that physicians are indeed allowed to prescribe adequate pain medications without fear of prosecution or investigation. "The coalition wrote the first draft of that legislation," said Myer. "If not for the coalition, there would be no Arkansas Chronic Pain Treatment Act." Out of the Arkansas Coalition grew the National Pain Patients Coalition, which is now supporting similar legislation in Louisiana, Michigan, Mississippi, New Jersey, and Oregon, and fighting against prescription monitoring legislation in Florida and wherever else drug czar John Walters can convince solons to author bills that would advance his crusade for a national prescription monitoring system. "We tried to get the strongest chronic pain bill in the US passed this year in Mississippi," said Brooks, "but it didn't even get to committee. The lawyers killed it." Now, in addition to waging the battle state by state, the pain patient groups are taking it to Congress. "The only way the situation will be changed around is through Congress," Myers explained. "Only Congress can demand accountability from the DEA and IRS. Nothing else will help. They have this phony drug war and are looking for easy targets. We have to do this march on Washington to get congressional hearings, and to bug Congress to death." "We know a lot of pain patients are too sick to go because of their pain, so those who can make it will go, and for those who can't, we'll show them how to bug their congressmen from afar," said Myers. "That's what I've been working on." The strategy is already paying dividends, said Myers. "We have meetings scheduled with various congressmen for Monday and Tuesday, and we're working out scheduling conflicts to have a meeting with DEA director Karen Tandy and Attorney General John Ashcroft. One of the things we want to ask them is why the DEA won't return Dr. Kale's certificate. It's been seven months since the Arkansas medical board said to do it, but they refuse." It's all about reducing the pain, said Brooks. "We want the pain reduced," Brooks said. "I know I can't be free of pain, but can't they at least reduce it? But the doctors say they're scared to do that, so my back gets worse and I end up where I can't walk and I have to be hospitalized. They say pain patients are depressed, then they give us antidepressants that make things worse. They say we're agitated and angry. Well, we are. We're agitated and angry at the system and the DEA. Why do these people without a medical degree get to determine how much medicine we need?" The effort to pass a medical marijuana bill in Connecticut moved one step closer to fruition Tuesday as the Joint Appropriations Committee approved the bill on a 26-20 vote. The bill has already been approved by the House Judiciary Committee, passing on a 24-15 vote on March 15. The Tuesday vote came amid a growing clamor to pass the legislation. Just two weeks ago, former US Surgeon General Jocelyn Elders penned an op-ed in the New Haven Register endorsing the measure. "It is simply wrong for the sick and suffering to be casualties in the war on drugs," wrote Elders, who is also supporting a medical marijuana initiative in Detroit. Elders is not alone, the Marijuana Policy Project (http://www.mpp.org) reported. According to MPP, some 300 Connecticut physicians have come out in support of medical marijuana legislation. One of those doctors was Nancy Sheehan, MD, who testified eloquently about how her late husband was helped by medical marijuana in his fight with cancer. "There is no doubt in my mind that marijuana made his life worth living and no other medication could do that," Dr. Sheehan told the committee. Also testifying along with Sheehan were medical marijuana patients Ned Pocengalo and Mark Braunstein, as well as two AIDS specialists and a pharmacist, all of whom said that marijuana was a safe and effective treatment. But not everyone was in favor of the bill. Rep Toni Boucher testified that bill sends a message that pot-smoking is okay because marijuana would be seen as a medicine, and Ginger Katz, who lost a son to a drug overdose and now heads the Courage to Speak Foundation (http://www.couragetospeak.org) -- "saving lives by inspiring youth to be drug free" -- testified that medicalizing marijuana is a ploy of the drug legalizers. Katz is a pro. Her foundation is funded by the Connecticut Department of Mental Health and Addiction Services, and Katz is a frequent speaker at anti-drug confabs, having addressed events such as the CADCA National Leadership Forums in Washington, DC 2002 and 2003 the National Association of Drug Court Professionals conference in 2002, the OJJDP (Office of Juvenile Justice and Delinquency Prevention) National Convention that same year, and the New England Governors' Drug Summit late last year, among other appearances, according to her web site. The Connecticut medical marijuana bill, HB 5355, would allow patients and their caregivers to possess up to five plants and one ounce of marijuana for the treatment of various debilitating conditions with a doctor's certificate. The language of the bill makes the list of maladies amenable to medical marijuana almost endless: (1) cancer, HIV, AIDS, or side effects of treatment of such conditions; (2) a chronic or debilitating disease or medical condition, or the effects of treatment of such conditions, that causes wasting syndrome, severe pain, severe nausea, seizures, or severe and persistent muscles spasms; or (3) any other medical condition the Department of Public Health approves by regulations requested by a physician or patient with a debilitating medical condition." Click here to read the bill and related documents online. The government of the Spanish region of Catalonia announced March 31 that it would support providing medical marijuana in pharmacies, and now local and national pharmacists' organizations are asking the government to provide actions to accompany those words, the Spanish medical news service DiarioMedico.com reported. The government of Catalonia is medical marijuana-friendly; three years ago the Catalan parliament unanimously asked the national government to legalize the therapeutic use of the herb. So are Catalonian pharmacists; the Pharmacists Association of Barcelona has already created a guidebook for medical marijuana use. Now that same group is calling on the Catalonian government to conduct a pilot study of distributing marijuana through Catalan pharmacies, and it is being backed by the national Federation of Spanish Pharmacists. The national group's president, Isabel Vallejo, told DiarioMedico.com the organization backed the call for a pilot project. "You can't ignore it, because there is a population that could find itself benefiting from it," she said. A pilot project could help determine safe dosage levels, she added. "All medicines have a window of safety and in this sense cannabis must be treated like whatever other substance that could produce health benefits," she said. And who better to speak out on pot in pharmacies, said Vallejo. "Since we are talking about the medical and therapeutic use, there always has to be input from pharmacists, since we are specialists in pharmaceuticals." A year ago this week, DRCNet reported that the California Court of Appeal had overturned the "hippy profiling" marijuana convictions of Jason Fishbain and Chris White (http://stopthedrugwar.org/chronicle/283/hippieprofiling.shtml). The dreadlocked pair had been convicted after being pulled over on US Highway 101 in Northern California by a California Highway Patrol (CHP) officer notorious as an anti-drug zealot because their vehicle bore no front license plate -- registered in Arizona, it did not need one -- and because an air freshener was hanging from the rearview mirror. The officer then claimed he smelled burned marijuana and searched the vehicle over the protests of its occupants, finding five pounds of marijuana that Fishbain and White maintained was for medical use. Now one of the men accosted by Officer Doug Mertz has filed a federal lawsuit naming Mertz, as well as the CHP officials and staffers responsible for hiring and training officers, as defendants. Jeffrey Fishbain, who is also the Americans for Safe Access coordinator in his north Humboldt County area, filed the lawsuit March 16. He seeks unspecified damages. Fishbain suffered through years of legal travails, spending almost $125,000 according to an account posted on his web site (http://www.blutopiansociety.com). As the lawsuit puts it, he "suffered personal injuries, emotional distress, humiliation, embarrassment, damage to reputation, loss of earning capacity and the incurring of attorney fees to defend himself from the false charges." The reason he suffered such indignities, the lawsuit alleges, is that Mertz and unnamed CHP staffers "acted in their individual capacities and with malice, oppression and in conscious disregard for (Fishbain's) health, safety and legal rights." The lawsuit points to Mertz's lack of probable cause in detaining Fishbain and charges that CHP higher-ups hired Mertz and others involved in the case "without adequate training or qualifications and, after their hire, inadequately trained and supervised them in the exercise of their authority... including stopping, detaining, searching, seizing and arresting citizens without probable cause." Mertz is well-known among Humboldt County defense attorneys as an officer who never saw an air freshener that didn't seem like probable cause for a search. CHP should have reined him in, the suit says. CHP staffers "were aware of prior instances of Mertz (and other officers and officials) violating the Fourth and Fourteenth Amendment rights of citizens, but took no steps to prevent the occurrence and/or reoccurrence of such incidents," the lawsuit alleges. Fishbain's attorney, Richard Massa, told the McKinleyville Press Fishbain he had been drained by the years of legal hassles. "The legal fees alone are substantial, because my client had to deal with a couple of trials and an appeal," Massa said. But while Fishbain is the plaintiff in this case, Massa added, a victory for Fishbain would be a victory for the Constitution. "The Civil Rights Act is one of the most important laws in the United States," Massa said. "And it's the only law in which an individual can actually enforce their Constitutional rights. There is no way to vindicate their civil rights other than through a civil rights case. Mr. Fishbain is simply taking the only alternative he has to gain compensation for the wrong that was done to him." And Californians with dreadlocks or air fresheners should thank him. The head of the Office of National Drug Control Policy (http://www.whitehousedrugpolicy.gov), drug czar John Walters, this week pointed the finger at high-potency Canadian marijuana as at least partly responsible for a doubling of pot-related emergency room admissions. Comparing Canadian weed to crack cocaine, Walters Wednesday urged the Canadian government to deal with the "extremely dangerous" problem. "Canada is exporting to us the crack of marijuana and it is a dangerous problem," Walters said in Miami, where he kicked off a campaign to cut marijuana use by Hispanic youths, according to an Associated Press report. "We need to have political leadership in Canada that recognizes the problem," he said. "Addiction is going to spread in Canada dramatically. It has in many places." Walters went on to repeat what are rapidly becoming hoary shibboleths about the savage potency of Canadian-grown pot. Back in the days of the hippies, said Walters, marijuana only had 1% THC content, but today's Canadian product contains 20-30%, he said. "It is extremely dangerous. It is one of the reasons why we believe... we have seen a doubling of emergency room cases involving marijuana in the last several years from 60,000 to 120,000," Walters said. Walters' remarks are merely the latest restatement of his and other US government officials' distaste for moves afoot in Canada to decriminalize the possession of small amounts of marijuana, as well as their dismay over the relatively light penalties Canadian pot-growers face. Although penalties for commercial growing would increase under the Canadian government's proposal, that hasn't stilled criticism from Washington. And, of course, it hasn't stopped Walters from mixing distortions and misrepresentations into his every utterance on the subject. For one thing, as the Drug War Chronicle has noted previously (http://stopthedrugwar.org/chronicle/252/futilityofdawn.shtml), the emergency room mention statistics are dubious at best. Based on the Drug Abuse Warning Network (DAWN) survey of metropolitan hospital emergency rooms, the statistics merely measure each time marijuana use was mentioned by an ER patient. To take a hypothetical example: A man smokes a joint in the afternoon, then shoots heroin all evening, then is admitted to the hospital with an overdose. This heroin overdose is listed as such, but because DAWN regulations allow for up to four drugs to be mentioned, it also becomes another "marijuana-related" ER admission. Also, Canadian marijuana simply is not that big a factor in the US market. According to the drug czar's own web site, out of more than 2.4 million pounds of pot seized in 2002, less than 7,000 pounds were Canadian. And as disgruntled Pacific Northwest dope buyers will tell anyone who asks -- and sometimes even those who don't -- the Canadians have a reputation for keeping the best stuff for themselves and exporting lesser quality outdoor stuff. And then there's the "not your daddy's marijuana" argument. Walters not only exaggerates the feebleness of 1960s and 1970s weed by using dusty samples from the University of Mississippi pot farm, as opposed to the actual Mexican, Jamaican, and Colombian varieties then prevalent, he also exaggerates the potency of current high-octane crops. While THC ranges of 25-30% are possible, they are rare, with most indoor marijuana coming in at around 10-15%. Walters fails to acknowledge that there are discrete markets for marijuana, with commercial grade Mexican -- with a lower THC level -- leading in market share. With its low price, perhaps $100 an ounce, it is much more affordable for youthful smokers than high-grade, Canadian or otherwise, that goes for closer to $400 an ounce. And of course, Americans are quite capable of growing high-grade pot as well. Finally, marijuana is marijuana. If one smokes marijuana with a high THC content, one simply smokes less to get high. In a few dozen words, drug czar Walters can pack a suitcase full of lies. That's a pretty impressive achievement. Sergio Estrada, the governor of the central Mexican state of Morelos, ordered the suspension of all 552 detectives on the state police force Monday, the Associated Press reported. The mass suspension came days after the head of detectives was arrested on federal drug trafficking charges. Federal agents and military personnel will replace the detectives, Estrada said. The suspended detectives make up a quarter of the state police force. Beginning now, said Estrada, all officers on the force will have to submit to drug, alcohol, and lie detector tests. "We have to work to create an authentic investigative police force that respects the law and human rights," Estrada said. Jose Agustin Montiel, the Morelos detective head, was arrested by federal agents last week and deposited in the maximum-security Palma prison. According to Mexican drug czar Jose Vasconcelos, Montiel headed a smuggling operation where Colombian cocaine shipments landed at the Cuernavaca airport and were driven to a neighboring Mexico state in police cars. Vasconcelos also accused Montiel of protecting the Juarez cartel, a leading Mexican drug organization. More arrests are planned, he said. And now Gov. Estrada is in the bulls-eye himself. The Mexico City newspaper El Universal reported on Monday that two witnesses in the Montiel case had implicated Estrada, elected under the banner of President Vicente Fox's National Action Party. One witness, arrested drug smuggler Marco Yepez, told El Universal Estrada was getting payoffs from the Juarez cartel, while former police officer Idelfonso Ortiz reported that Estrada was romantically linked to the daughter of a high cartel figure. Thus, hours after announcing the suspension of the detectives, Estrada found himself defending himself from similar allegations. "I have a clean conscience," Estrada told reporters at a news conference late Monday. "I deny any link with drug traffickers." The government of President Fox began its term with a series of pronouncements from high officials that suggested Mexico was rethinking its endless, US-inspired war on drugs, but Fox quickly fell into line with US drug war orthodoxy, especially after September 11, 2001. Since then, the Mexican government has pursued drug trafficking organizations remorselessly, managing to disrupt several. But the net result has been more violence as drug organizations seek to reconstitute themselves, and no diminution of the flow of drugs north into the US. The corruption of public officials has continued apace, and now the rot threatens to spread to the National Action Party itself. And that's how it goes in Mexico, where successive governments have effectively accommodated themselves to a business that nets between $3 billion and $30 billion a year for the drug organizations, according to estimates cited by AP. Historically in Mexico, the government has worked not to suppress the drug trade but to manage it. Is the Fox administration turning out to be more of the same? When Peruvian coca growers gathered in Lima in February to protest US-inspired attacks on their crops, one of their demands was that the Peruvian government help find legal markets for their coca crops. The government may not have been responsive, but private enterprise is stepping up. The Associated Press this week reported on the efforts of the Kokka Royal Food & Drink Company (http://www.kokkadrink.com) to market its new product, Kdrink. Kdrink is a bottled tea, but a very special one: It is made from coca leaves, and each bottle contains 0.6 milligrams of cocaine. Although that amount of natural, unprocessed cocaine has less kick than a cup of coffee, it places Kdrink and other Kokka products squarely within a thorny area at the juncture of national and international laws and treaties. Products containing low potency amounts of cocaine can be legally supplied within a regulated framework under the terms of the international drug control treaties, but only under the watchful eyes of the UN and United States. The US doesn't allow them at all, and even in nations like Peru that do the legal situation is uncomfortable. That hasn't stopped Kokka director Eduardo Mazzini and a group of Peruvian and Spanish financial backers from investing $300,000 in the product and opening a sales office in Spain, Mazzini told the AP. Mazzini said the idea for the drink came when Spanish friends visiting the Inca capital of Cusco discovered traditional coca teas served to tourists to fight altitude sickness. They suggesting bottling the drink. Now it comes in 10-ounce bottles that tout the drink's "divine energy." The drinks are selling "better than expected," Mazzini said without supplying particulars. While Peruvian farmers are allowed to grow 30,000 acres of coca for the legal market, including about 100 tons of coca leaf destined for the Coca-Cola Company in the US, according to the UN Office on Drugs and Crime, total Peruvian production this year is about 110,000 acres. With coca leaf fetching about $6 a pound, it is a much more profitable crop than coffee, pineapples, or other alternatives to coca promoted by the Peruvian and US governments. Even the Peruvian anti-drug agency DEVIDA conceded that finding new legal markets for coca leaf may work better than attempting to suppress or replace the crop. "Right now the best alternative crop is legal coca because it has the best price," said Fernando Hurtado, director of alternative development for the agency. "What we want to avoid and fight is coca going to narcotics traffickers." Anyone for some coca tea? Visit http://stopthedrugwar.org/chronicle/280/cocasoap.shtml to read David Borden's 3/28/03 editorial, "I Smuggled Coca Soap Into the United States." Last June DRCNet reported on the shutting down of a benefit event for the University of Montana chapters of NORML and SSDP under threat of a RAVE Act prosecution by a local DEA agent (http://stopthedrugwar.org/chronicle/290/dearave.shtml). As Geov Parrish commented in the Working for Change bulletin last October, "the RAVE Act does more to stop dancing than drug use" (http://www.workingforchange.com/article.cfm?itemid=15869). Two weekends from now (Saturday April 24), groups around the country are organizing events to protest the RAVE Act, raise awareness of its consequences and raise money to continue to work to oppose it. According to the Drug Policy Alliance, events are planned so far in Billings (MT), Denver, Los Angeles, New York, Santa Fe and Washington, DC. Visit http://www.protectlivemusic.org for further information on the April 24 national day of action and related topics. April 20, 2001: American Christian missionary Veronica Bowers and her seven-month-old daughter, Charity, are killed when their small plane is shot out of the sky by a Peruvian military jet as part of a CIA-assisted program that patrols the Amazon Basin for drug couriers. April 20, 2002: Robin Prosser of Missoula, Montana, begins a hunger strike demanding access to governmental grown marijuana to help her treat symptoms of Lupus. Prosser says that marijuana helps combat the illness and relieves her of pain and stress. April 17, 11:00am-11:00pm, Kingston, RI, "6th Annual Hempfest," free outdoor event with live music, vendors, speakers, activism and fun. Sponsored by University of Rhode Island SSDP, at URI, visit http://www.uri.edu/home/visitors/Map/kingston_direction.html for location or contact Micah at (401) 829-0904 or [email protected]. April 17, 1:30-4:20pm, Laguna Beach, CA, Drug War Protest, organized by Orange County NORML and the November Coalition. At Main Beach (Laguna Canyon Road & Pacific Coast Highway), bring quarters for the parking meters, contact Rachel at (949) 494-5327 or [email protected] or Mark (949) 722-6420 for further info. April 17, 11:00am-11:00pm, Kingston, RI, "BUSTED: The Citizen's Guide to Surviving Police Encounters" continuous screenings at the University of Rhode Island during the URI Hempfest. In Edwards Auditorium, contact Micah Daigle at [email protected], or visit http://www.ssdp.org/uri/ or http://www.flexyourrights.org for further information. April 17, 4:00pm, Chatham, OH, "BUSTED: The Citizen's Guide to Surviving Police Encounters" screening. Presented by North Ohio NORML, at the Chatham VFW Hall, 6299 Avon Lake Rd. (off Rt. 83). For further information, contact Cher Neufer at 330-948-WEED or visit http://www.flexyourrights.org. April 18, 7:00pm, Berkeley, CA, "Confessions of a Dope Dealer," performance by Sheldon Norberg. At UC Berkeley, 155 Dwinelle Hall,reserve tickets at http://www.adopedealer.com or call (866) DOPE-DLR. April 18-20, Washington, DC, "America's in Pain! ", March on Washington and Chronic Pain Patients Leadership Summit. For further information, visit http://www.PainReliefNetwork.org or contact Mary Vargas at (202)-331-8864 or Siobhan Reynolds at (212)-873-5848. April 19, 7:00pm-8:30pm, Tempe, AZ, "BUSTED: The Citizen's Guide to Surviving Police Encounters" screening. Sponsored by ASU SSDP, at Arizona State University, Life Sciences Lecture Hall, LSA 191 (ROOM CHANGE). For further information, contact Lauren Hathorn at [email protected] or visit http://www.flexyourrights.org. April 19, 8:00pm, Minneapolis, MN, "BUSTED: The Citizen's Guide to Surviving Police Encounters" screening. Sponsored by U of MN NORML, at University of Minnesota-Twin Cities, Coffman Union Theatre in Coffman Memorial Union. For further information, contact Jason Holstein at [email protected]. April 20, noon, Fredonia, NY, "The Dynamics of American Drug Use," lecture by Sheldon Norberg. At SUNY Fredonia, contact the Student Activities office at (716) 673-3144 for further information, visit http://www.adopedealer.com or call (866) DOPE-DLR. April 20, 7:30pm, Billings, MT, "BUSTED: The Citizen's Guide to Surviving Police Encounters" screening. Sponsored by Montana State University-Billings NORML, one of three events this week including a benefit concert/after party, at the Petro Theater at Montana State University-Billings, visit http://www.flexyourrights.org for further information. April 20, 8:00pm, Washington, DC, "420 Festival," featuring The Ordinary Way, Indica Jones, silent auction and guest speakers. At Chief Ike's Mambo Room, 1725 Columbia Rd. NW, admission $12. Visit http://www.geocities.com/fourth_of_july_hemp_coalition/ for further information. April 21, 8:30pm, St. Catharines, Ontario Canada, "BUSTED: The Citizen's Guide to Surviving Police Encounters," public screening sponsored by the Sporting Clubs of Niagara (SCON). At the Game and Fish Building on 71 Lighthouse Rd., RSVP to John Gayder at (905) 937-2301 and visit http://www.flexyourrights.org for info. April 22-24, Washington, DC, NORML conference, details pending, visit http://www.norml.org for updates. April 23, Carbondale, IL, "15 to Life: Unintended Consequences of the War on Drugs," multi-visual presentation by artists and anti-drug war activist Anthony Papa. For further information contact David Warden at (217) 721-4002 or [email protected] or visit http://www.15yearstolife.com for further information. April 24th, 8:45am, Norwalk, CT, "BUSTED: The Citizen's Guide to Surviving Police Encounters," public screening sponsored by the National Alliance of Methadone Advocates. At 20 North Main St., 3rd Floor, contact Kurt Kemmling at [email protected] or (860) 223-1900 or visit http://www.flexyourrights.org for info. April 24, 7:00pm, Billings, MT, Billings NORML fundraiser as part of national day of action against the RAVE Act. At the MSU Billings Ballroom, contact Adam Jones at (406) 256-0107 or [email protected] or visit http://www. montananorml.org for further information. April 27, 7:00pm, Kent, OH, "BUSTED: The Citizen's Guide to Surviving Police Encounters," public screening sponsored by the Kent State student chapter of Amnesty International. At the Student Center, 3rd floor, contact Grace Peterson at [email protected] or visit http://www.flexyourrights.org for further information. April 28-30, Warsaw, Poland, Sessions with the European NGO Council on Drugs and Kanaba, at the European Economic Forum. Visit http://hyperreal.info/wiki/go.to/see/Solstice%202004 for further information. May 1, international, Million Marijuana March, visit http://www.cures-not-wars.org for event listings and further information. May 1, noon-5:00pm, Burlington, VT, Million Marijuana March event, including speakers, music and information tables. At Burlington City Hall Park, contact Denny Lane at (802) 496-2387 and [email protected] for further information. May 1, noon-10:00pm, Eau Claire, WI, Eau Claire's 10th Annual Hempfest. At Rod and Gun Park, sponsored by Univ. of Wisconsin-Eau Claire Students for Sensible Drug Policy, contact Randy Lusk at [email protected] or (715) 834-0424 for further information. May 6, 7:00pm, Cotati, CA, "Confessions of a Dope Dealer," performance by Sheldon Norberg. At Sonoma State University, contact the Student Activities office at (707) 664-2815 for further information, visit http://www.adopedealer.com or call (866) DOPE-DLR. May 7, 8:00pm, Los Angeles, CA, "Green Therapy," medical marijuana comedy show. Featuring Joe Rogan, Rick Overton, Dean Haglund and others. Admission $20 or $10 for patients with a compassion club card or a doctor's recommendation, funds to benefit the Inglewood Wellness Center and the Crescent Alliance Self Help for Sickle Cell/Nigritian Kief Society. 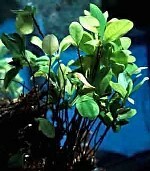 Visit http://www.greentherapy.com or e-mail [email protected] for further information. May 8, 8:00am-5:30pm, Vancouver, BC, Canada, "Beyond Prohibition: Legal Cannabis in Canada," featuring keynote speaker Sen. Pierre Claude Nolin. Sponsored by the British Columbia Civil Liberties Association, at the Wosk Centre for Dialogue, registration $20. For further information, visit http://www.bccla.org/pamphlet.pdf or contact Kirk Tousaw at [email protected] (preferred communication method) or (604) 687-2919. May 18-19, New York, NY, "Break the Cycle: Tear Down the New Slave Industry -- Criminal Injustice." Conference at Manhattan Community College/CUNY, 199 Chambers St., for further info contact Johanna DuBose at (212) 481-4313 or [email protected], or Victor Ray or Umme Hena at the BMCC Student Government Association, (212) 406-3980. May 20-22, Charlottesville, VA, Third National Clinical Conference on Cannabis Therapeutics. At the Charlottesville Omni Hotel, visit http://www.medicalcannabis.com for further information. June 26, Copenhagen, Denmark, Assembly of members of the European NGO Council on Drugs (ENCOD), coinciding with the United Nations "Day Against Drug Abuse" spring event. Contact [email protected] before June 1 to attend, or visit http://www.encod.org for info. August 21-22, 10:00am-8:00pm, Seattle, WA, "Seattle Hempfest." For further information, e-mail [email protected], visit http://www.hempfest.org or call (206) 781-5734. September 18, noon-6:00pm, Boston, MA, 15th Annual Freedom Rally, visit http://www.masscann.org for further information. November 11-14, New Orleans, LA, "Working Under Fire: Drug User Health and Justice 2004," 5th National Harm Reduction Conference. Sponsored by the Harm Reduction Coalition, at the New Orleans Astor Crowne Plaza, contact Paula Santiago at (212) 213-6376 x15 or visit http://www.harmreduction.org/conference/5thnatlconf.pdf for further information.